Setup has detected that this computer does not meet the requirements to install this software. 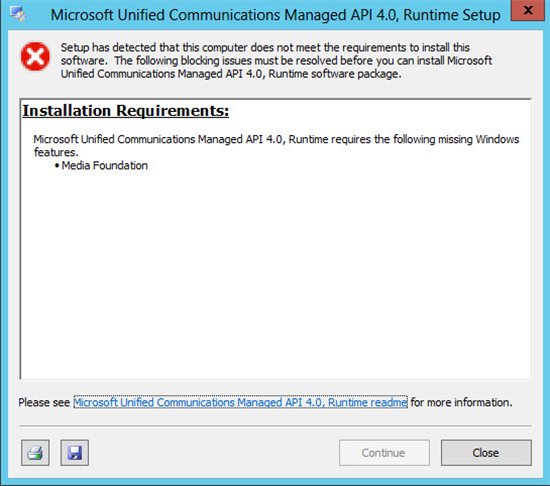 The following blocking issue must be resolved before you can install Microsoft Unified Communications Managed API 4.0, Runtime software package. 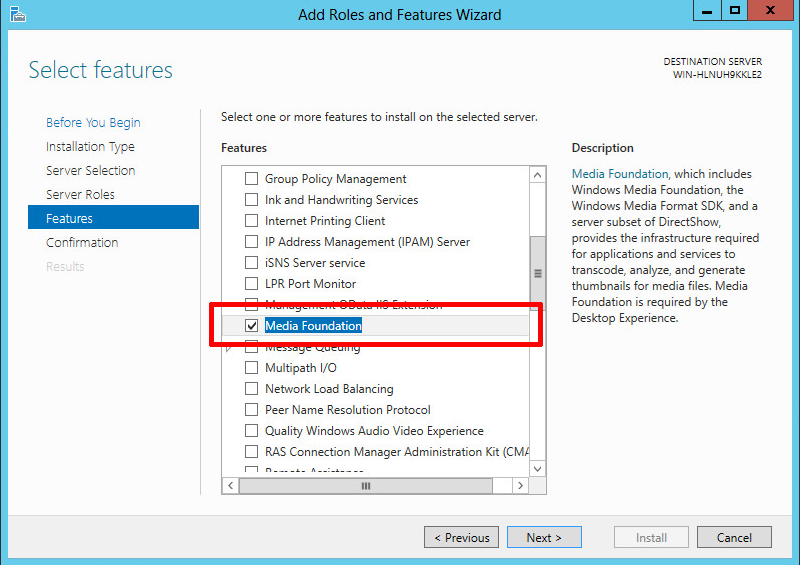 Microsoft Unified Communications Managed API 4.0, Runtime required the following missing Windows Features. 1. 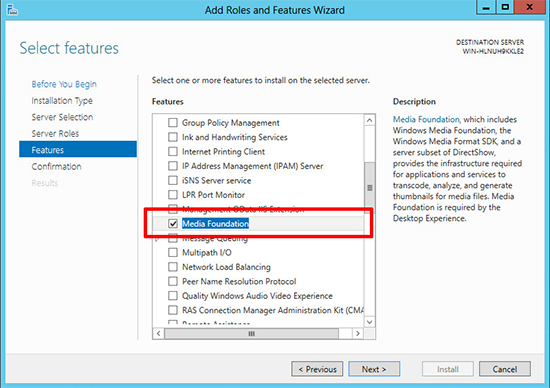 Launch Server Manager (ServerManager.exe) > Manage > Add Roles and Features > Next > Next > Next > Scroll Down > Select Media Foundation > Next > Install.